Charlie bent over his work, his little tongue licking his lips like a squirrel who can’t decide which direction to go when a car heads toward it. He carefully followed the direction of the arrows which told him how to form the cursive letters. After writing an uppercase L, he raised his head and grinned at me with wide excited eyes. I humored him with a smile. My practical, grown-up mind tried to fathom the world-changing implications of an L with a tail long enough to fill a whole workbook. It was beyond my capabilities. Even with the threat of long-tailed Ls, I was just happy he wanted to learn cursive. I could remember being exactly his age and wanting to write that way, but my school didn’t teach cursive until second grade. I could join up all the letters of my first name, except for the S. My first-grade teacher had to ask me to stop. 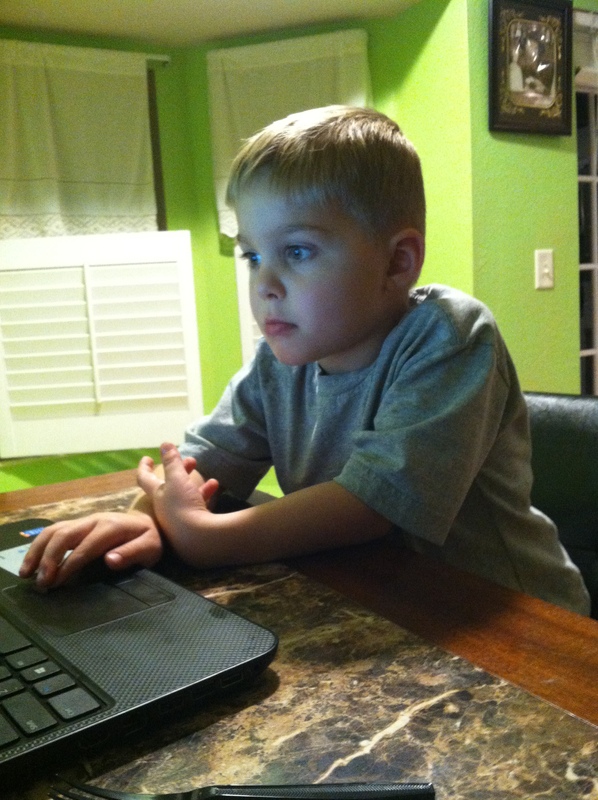 William wanted to learn when he was in first grade too, and I knew I would have to be the one to teach him. But I made him wait. I had to wait. Even the workbook said that it was for third to fourth grade. So we waited. And now he’s no longer interested. I wasn’t going to make that mistake with Charlie. The seasonal trend in Florida fashion. Lucy’s eyes were pricked as if tears were about to leak from them. But she wasn’t emotional. Her eyes weren’t even overly watery. You know that almost burning, sort of sour pressure you get in your sinus cavities when you start to cry? Yeah, that. When Chaucer wrote, “Whan that Aprille with his shoures sote…” he never knew a place like Florida. Lucy didn’t see sweet showers in April there. Instead, she saw everything dusted yellow with pollen as if the deranged cousin of Jack Frost took his bottle of yellow, odorless baby powder and sprinkled it all over the place. Didn’t he know that Lucy had a headache everyday for months now because of it? Didn’t he know that she can’t even have fun singing anymore because her throat is so sore? And WHY does he have to visit when the weather is actually nice? Why can’t Jack visit more often? Lucy liked Jack, but he only visited Florida every other year or so. And still there was no rain in the forecast. Nothing to tamp down the incessant pollen. Florida is backwards in many of it’s seasons. The leaves fall in Spring when the temperature is already rising after a brief burst of chill. The risk of floods happen in summer during the torrential afternoon downpours that line the roads with a hot fog after they’ve baked in the sun all day. Lucy once went to a home show where a vendor tried to sell saunas to Floridians. Talk about trying to sell ice to an Eskimo. But now it was bone dry outside with a yellow haze and the five medications Lucy been taking to combat allergies were just not cutting it. Not even when she also consumed a concoction of raw local honey, raw apple cider vinegar, lemon juice, cayenne pepper and hot water. She got the recipe from a cousin in Ireland, and it was actually rather tasty so she drank it anyway. She thought of folks in other states who sigh during deep winter and wonder how nice it would be to live in Florida. But she knew first hand that it wasn’t cold enough in the winter to put much of a dent in the monotonous heat or kill off the plants for a season so that you don’t get that huge burst of sinus crushing pollen. They were better off where they were. After much research, consideration, and discussion with my spouse, we have agreed that my Bachelor’s Degree in English Literature would be best spent as a freelance copyeditor. Instead of killing myself to grade 350 high school papers a week for meager pay and even less appreciation, I can focus on the enhancement of one story at a time. 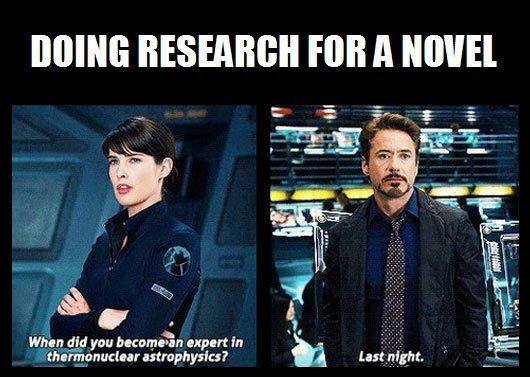 I sincerely hope that I can be a positive benefit to any writer who desires to make their manuscript sparkle. If you’ll notice, there is a new heading on my blog about my editing services. Feel free to take a look to see if I might be a good fit for editing your manuscript. I’ve been through the process myself, and know first-hand how daunting it can be to put your “baby” in the hands of someone else. It’s rather like dropping your child off at daycare for the first time. Can You Break My Code? I couldn’t just be a ‘normal’ 14-year-old. 😉 Don’t worry, this page isn’t what you have to decode. Finally! I’ve been wanting to do this for months but one thing or another has kept me from it. Here it is at last! At first I was going to simply post the above image and have you all try to crack it. But after getting several opinions, it was unanimous that this was too hard by itself. It’s difficult to see the word breaks, and it IS a lot of letters to decode. I’d probably only attract nerdy nutters like myself. While I LOVE nerdy nutters, I want this to be fun for everyone. …should you choose to accept it: decode the following Thanksgiving themed phrase. Email your entry to me at shea_ford@yahoo.com by November 29th. I will select a random winner to be announced on November 30th. …an Amazon copy of The Stone of Kings! Why is this kind of contest related to the story? I’m sure the Irish druids had a much different set of symbols on the rare occasions when they wrote things down. But when Bresal communicates with Taichleach via magic symbols in stones, these were the symbols that I visualized. Where Has Shea McIntosh Ford Been?! 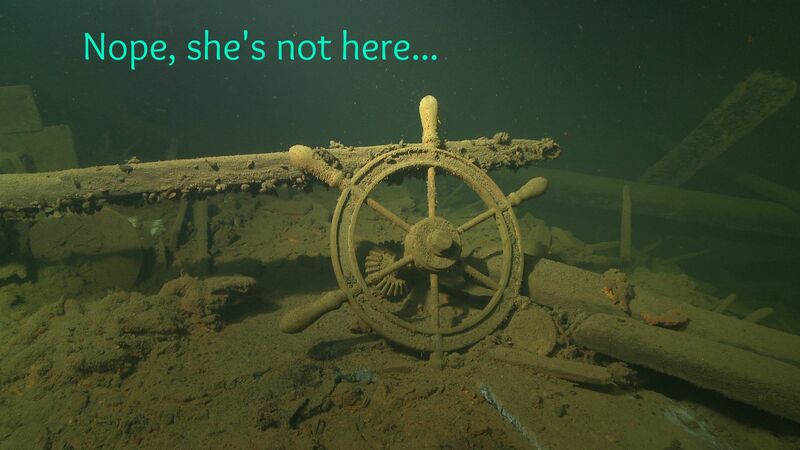 Original image credit: Juha Flinkman, SubZone OY via Wikimedia Commons. I’ll be honest, I enjoyed my media fast so much, I haven’t wanted to clutter my life with it again. Hence my prolonged absences from my blog and Facebook. Well, 4 days into the job and BOOM! And extended position is offered to me! For the entire month of October, I’ll be dusting off my skills while I teach 11th grade English. I’ve been shadowing the permanent teacher the last couple of days and I’m excited to jump back in and see if I can handle it this time now that gluten is not in my system. It will be a good experiment to tell me if I can handle it now that I’m a mom. I’m also excited to implement the permanent teacher’s strategies. I didn’t have that kind of opportunity the first time around, and I was sort of “winging it” with the textbook. I am still writing! Still working on the historical fiction about the lifting of Prohibition. 🙂 I’ll try to get more of my Grannie’s memories ready for posting. In the meantime, wish me luck on my new venture! Hey folks, for anyone who might happen to care, I’ve decided to go on a FULL media fast for about a month. As an author in the digital age, I’ve been told I must be “connected.” I’ve created a blog and this FB page, I even go on Twitter and Instagram every so often. Being so connected may be good for me as an author, but with all this exposure to media comes things that are not good for me…as a person. Because I’m not a faceless name on the internet. After what happened to those nine innocent people in Charleston, I’m exhausted. It was different because of how people reacted to our own history. No other event seems to have brought out so many unsympathetic people. The Chattanooga massacre, the Boston Marathon bombing, Sandy Hook, the Aurora theater shooting, etc…we all seem to grieve collectively for those. But somehow it was different for the AME Nine. And while the hype has died down, articles still crop up and I just flat out need a break. I need a break from cynicism. I need a break from bullies. I need a break from people who don’t think words matter. I need a break from people who passively censor the ugly parts of southern history, because they don’t want to FEEL. I need a break from selfishness. Go ahead and respond to my post if you want. Whatever it is you want to say, whether for or against, I won’t respond till I’m ready. God bless. 1. The Confederate Battle Flag still looks like a symbol of bigotry and oppression. Especially when it’s a HUGE one flying down the road on the back of an over-sized pick-up. Preoccupied with size much? At least I got a month break from the people who shout “heritage, not hate” or “the Civil War was not about slavery.” They are the mindless drones who have never bothered to read Mississippi’s Declaration of Causes of Secession, among the other Southern States declarations of the time. Apparently, they prefer the fairy-tale version of history which omits lynchings, beatings, and ripping people from families. 2. Donald Trump still looks likes a narcissistic bully. Seriously? Where does this guy stand on actual issues? As of this published post, the only position he talks about on his political website is immigration. So if he becomes president, then American government can completely decay, education can continue to plummet, and our budget can do whatever it wants. But that’s okay, because we’ve eliminated all the illegal immigrants…one way or another. I know the election is over a year away, but it disturbs me to see how he still has such a strong following. I haven’t yet figured out why people can’t see through him. But I’ve never been able to quite see how the German people couldn’t see through Hitler either. I wish more people would go on a media fast. Trump’s pot of water is slowly heating up and the frogs are oblivious to their predicament. 3. Hillary Clinton’s comment about how religion needs to change is still foreboding. Why in the world would she say that? What happened to freedom of religion? Should I prepare to channel my ancestral heritage and plan a pilgrimage to a land where I won’t be told how I should believe in my God? She’s as bad as the news outlets who tell me what I need to think. 4. It finally clicked in my head that PBS is likely where I should get my news. Part of my struggle to see the forest for the trees was caused by the frustration of being told what to think. I hate that. I’m not stupid. I don’t like feeling like a drone. I can draw my own conclusions, thank you very much. PBS is not glamorous or sensational, so I’m sorry to say I overlooked it in my struggle to draw my own conclusions from biased media. On a smaller scale, I think PBS will help me continue my media fast. No more CNN-or FOX-like hypnotism. Have you ever had to go on a media fast? Does the tabloid-like setting of our society exhaust you? How do you deal with it? Are you a media drone? How do you deal with being a drone? However, none of those people seem to have used the power of empathy. Maybe I can help them. After all, I’m a writer. This is what I do. I’ve never been to the State House in Charleston, SC. But this is how I’ve felt this week. I stand in the sun at the State House of South Carolina. Drops of sweat slide down the side of my head. I wipe them away with the sleeve of my shirt. Tears remain on my cheeks for the nine slain. Dylann Roof wasn’t a lone wolf in his ideals. He may as well have been one of my students who exhibited similar notions in the superiority of their own race. My race. Ugh. It hurts to think about it. What could I have said or done to have gotten through to them? There is a Civil War monument on the north side of the grounds. Such a dark time in our history. Our history. We still argue over why it was fought. I suppose, in a way, it rages on. Some people like to pick and choose which parts of history they’ll affirm actually happened. Kind of like picking and choosing Bible verses to live by. Forget the rest because secretly, it makes us uncomfortable. An occasional wind passes and the Confederate Battle flag flaps above the monument. I saw that flag all too often as a teacher. The racist students wore them all the time. It bothered me. It was jarring at first, but I got use to it. It was their right. I wouldn’t want someone telling me that I shouldn’t wear something with an Irish flag on it. But Dylann Roof didn’t show off the Irish flag. He showed the Battle flag. He also showed flags of Rhodesia and apartheid-era South Africa. But it’s the Battle flag that flaps above my head. Why isn’t it at least at half-staff? Oh, there’s no pulley. Can’t they at least take it down temporarily? It looks arrogant. The US and State flags are at half-staff. But the Battle flag could care less that nine people lost their lives. If it would come down just for the mourning process, then I could give some credit to the people who keep shouting that the Battle flag is not a symbol of racism and hatred. The same flag that the killer proudly waved, flies high while the rest of us grieve. Yes, I understand that the law keeps the flag up there. That particular law has as much empathy as the flag. We are humans. We identify with symbols and have done so for centuries. If the Battle flag had come down out of respect for the nine slain, it might have taken on a new meaning. A meaning that would negate the images of Roof and his ideas of white supremacy. Whatever it’s history, whether Civil War or Civil Rights, we had a chance to CHANGE the meaning the Battle flag holds for many Americans. It was time! Not two years from that day! If you believe that the flag isn’t a symbol of racism and bigotry, then prove it isn’t. You had a chance – but you didn’t take it. That might make you uncomfortable, but I value the lives of our multi-ethnic country more than your comfort. Perhaps if you had been more empathetic, there wouldn’t be such a call to have it removed from government property. Grannie’s Memories – Firestarter…Seriously. That’s Not a Metaphor. I’m so proud to have been able to call her my Grannie. 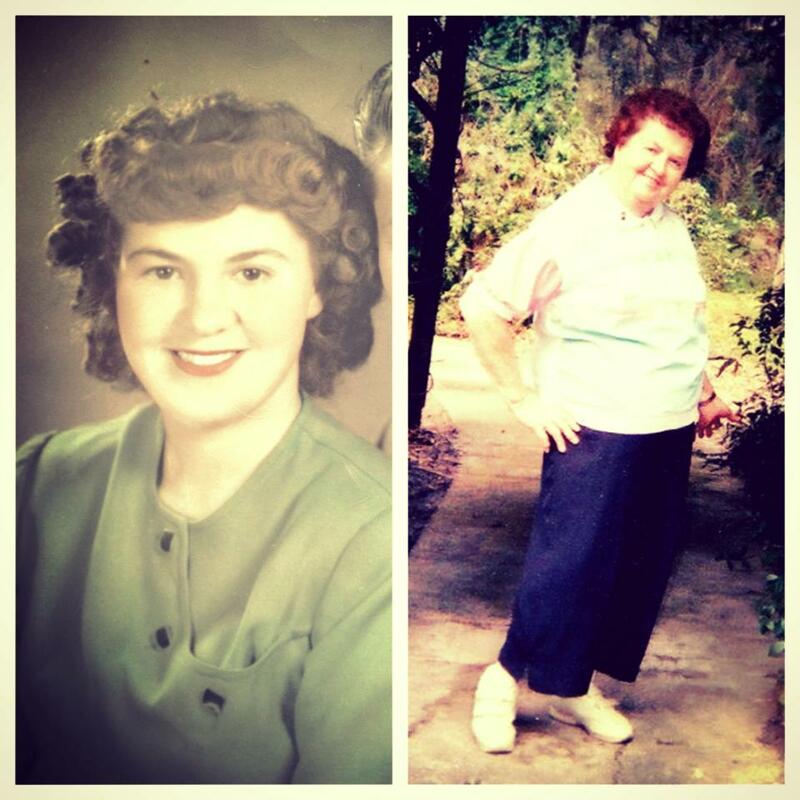 As promised, today’s post starts my “Grannie’s Memories” series. She wrote them down circa 1967* and these stories are what is inspiring my Work In Progress. She was born in 1923 and grew up in her father’s restaurant in Marietta, Ohio. One summer day, I was all alone and no one to play with. I walked out the back door of our restaurant. The street in back of us was called Post Street. The big building there was called the St. Charles Hotel. Miss Chrissie McCurdy – I think she was relation to our dentist – ran the hotel. I loved going into the lobby and looking at all the old-time things there. Over at the desk along the wall was a container that had kitchen matches in it. I wasn’t allowed to play with matches, but that container fascinated me. I had watched an old gentleman go over and take one match out, strike it, and light his pipe. Miss Chrissie was always somewhere around, sometimes behind the desk or out in the dining room. I treasure now the pictures I have of me at that were taken with Miss Chrissie. Such a gentle lady. Across the street from the St. Charles Hotel was the bank of the Ohio River. 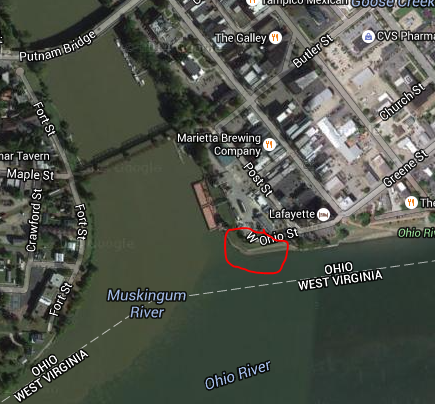 About a block down was the mouth of the Muskingum River where it joined the Ohio. On that point was a big building we called the Government Works. In the summertime, a man from there would mow the grass on the bank. A few days later, after the grass had dried, he would burn it off. I also remember in March or April, we would pick violets by the handfuls on that bank. We never had to go to the store and buy beautiful violets because they grew wild. One particular summer day, after making all my “rounds,” I walked down to the St. Charles Hotel. No one was in the lobby. It was dinnertime, and they were all in the dining room or the kitchen. I walked on over to the river bank. The grass had been cut a couple of weeks before and it was still lying on the ground. That morning, I had tried to come up with something I could do to help someone that day. Now, I was looking at the answer! I would burn the grass for that man and he wouldn’t have to do it! I ran back over to the hotel lobby and no one was there. So I borrowed a couple of matches from the container on the wall and went back over to the river bank. I found a flat stone and struck one of the matches, but the wind blew it out! I struck the other match with my back to the wind like I saw a man do on the street one day to light his pipe. In just a few minutes, the whole river bank burned out of control. I don’t know who called the fire department. It could have been someone looking out a window of the hotel. I never saw so many people and fire engines in my life! I don’t remember if I ran home or if someone took me, but Dad met me at the door and that’s the first and only time he ever spanked me. Thinking about it now, the whole block of Front Street could have gone up in smoke. I’ll never know if Dad had to pay any damages or not. What I didn’t realize was only the dry grass on top burnt. Under that was wet. It had rained a few days after the man had cut it and that’s why he hadn’t burnt it yet. I can think back then and know the Lord saved a great disaster by making it rain. *I’ve done some minor editing for the purposes of this blog, mostly sentence and paragraph structure and some word choice. I probably should have taken out more exclamation points, but it makes me think of how animated she use to get telling the story. 🙂 But I added the headings. Have your grandparents ever admitted to causing such chaos? Have you? Have you ever “helped” too much? 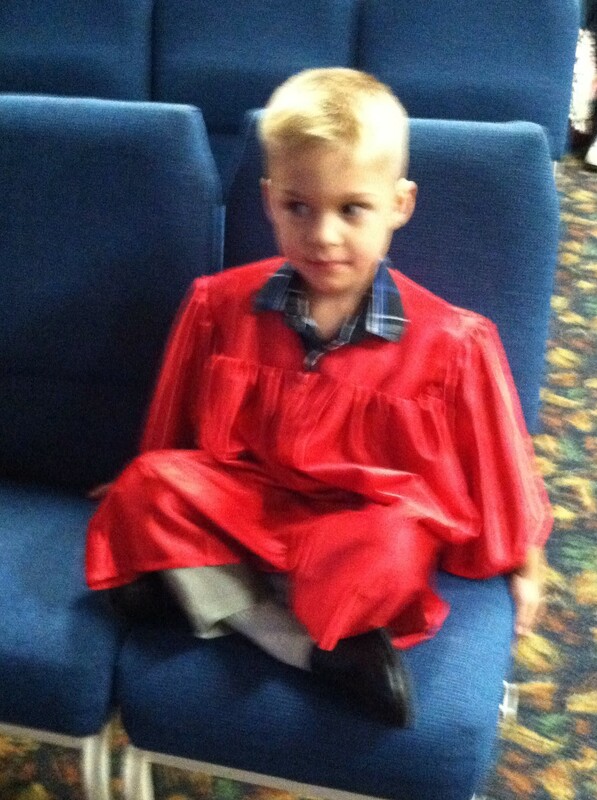 Graduations, Birthday Parties, and Broken Bones…Oh My! What a whirlwind spring! I’ve been away (says Captain Obvious), because Murphy’s Law struck again, and when I put more things on my plate, someone came along to heap more on top. I’m not gonna be able to eat all that! I think I just need to lay down. I’ve done some local author appearances complete with reading excerpts in my attempt at the Irish brogue. 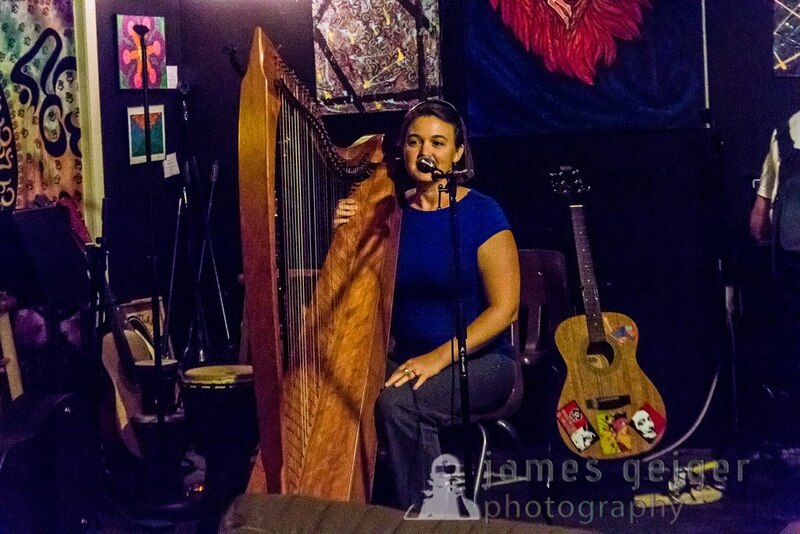 I’ve played harp when I can at a weekly Open Mic. And, of course, I’m writing. I’ve gotten down the first twenty-three pages of my next book…because the story wouldn’t stop traipsing through my thoughts. This is my first book that’s not Young Adult. It’s a Historical Fiction centered on the lifting of Prohibition in America. Most importantly, it’s inspired by the true story of my great-grandpa who owned a restaurant/bar during the Great Depression. He doted on my Grannie, who was 10-years-old at the time. The trouble was, great-grandma was a bad alcoholic. First and foremost, I’m a mom. Sometimes, my writer/musician life gets in the way. Cue frantic indecision about how much pizza and cake to order. The evening before William’s birthday party, Charlie decided to perform some kind of daredevil stunt. Ya take your eyes off them for a second! 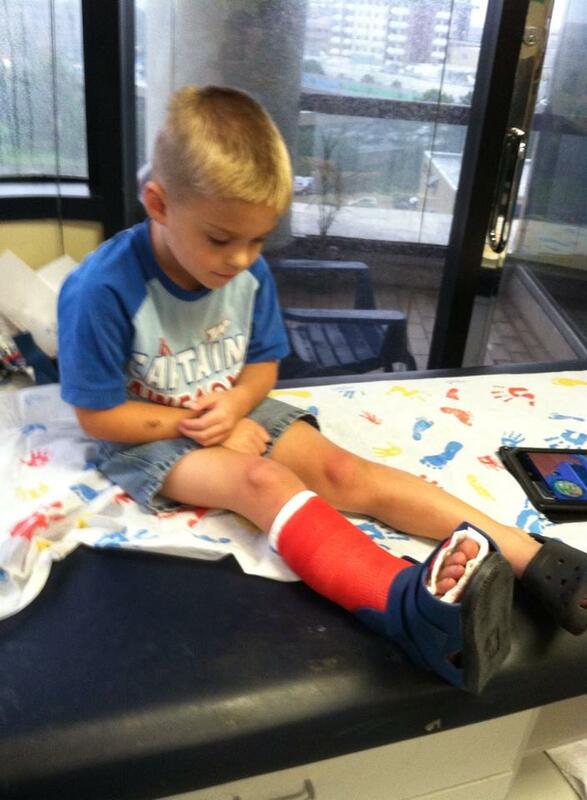 We were in the gymnastics room at the YMCA and he tripped. Yep. That’s it. However he did it, he managed to brake the end of one of his metatarsals near his toes. If you don’t know what a metatarsal is, then clearly you haven’t read The Stone of Kings. <=== *that’s a hyperlink right there (hint hint)* 😉 Who knew I’d use the information for my own kid? Courtesy of The Writer’s Circle. Then hubby had to promptly leave for a few days on an out of town business trip. No wonder I managed to pick up some kind of stomach bug the last couple of days. At least this month wasn’t nearly as bad as when Charlie had his neurosurgery. Now that Charlie is casted and can join day camp with his brother, I will hopefully be able to crank out my new book. Till then, would anyone like some leftover birthday cake? …please? Do you mix metaphors when you get over-stressed? Are you looking forward to a bright spot of peace that’s almost within your grasp? Do you know what a metatarsal is because you’ve read TSoK? William and I have been reading The Little House series together at bedtime. We’re halfway through Farmer Boy. He’s enjoys it, but I know when he still hasn’t wound down enough to listen. …and open up my trusty Kindle. 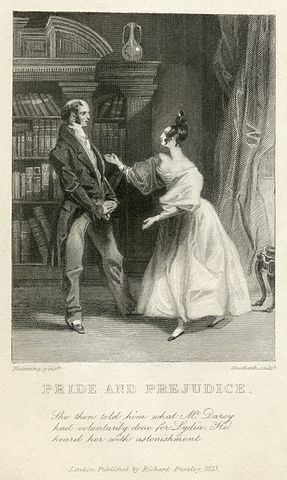 I’m currently re-reading Pride and Prejudice. I absolutely LOVE this story. Oh poor, misunderstood Mr. Darcy! But guess who took an interest in what I’m reading? I have no idea how much of that he takes in. Every once in a while, he’ll stop me to ask what a certain word means, but he seems to like the flow of the language. He’s asked for me to read it for the last several nights. The thing is, I haven’t read the classics for a while. For the sake of my writing, I needed to read modern books. My first draft of Harp Lessons tried to emulate some of Austen’s flowery style and my editors had to chisel away at the manuscript to make it more stylistically pleasing for today’s audience. I am nowhere near having the command of the English language that Austen did. But when I tried to pretend that I did? The result was that my words were fit for weapons of mass destruction rather than to delight a mass of readers. I’m relieved to have had patient editors when I first learned the ropes. They were fabulous people to subject themselves to my pretentious words. I am reminded of the journal I kept of my trip to England back in 2005. Have you ever tried, crashed, and burned while imitating the writings of your favorite authors? Did it actually turn out pretty good? Do your kids like to read the classics? Do they “get” it?